Our joints aren’t something we really think about much usually until we start experiencing stiffness and/or pain with them, but without good joint care our mobility is affected and the pain and stiffness can slow us down. And who has time for that? Not me. Along with your joints, which is where two bones join together, there is also their supports to consider. Joints need healthy cushioning so they don’t rub against each other and in some cases need to be able to glide over each other. This is why taking care of cartilage, synovium, synovial fluid, ligaments, tendons, and muscles are as important as taking care of the bones for good joint health. Joints can be affected by having to handle too much weight, by being injured, and by aging damaging them which can all lead to arthritis. Don’t think arthritis is just for older people either as it can strike at any age. The most common form of arthritis is osteoarthritis and there are approximately twenty-one million adults that suffer from it. More than 50 million people in the United States have other joint conditions including Rheumatoid arthritis, gout, and Juvenile arthritis. In fact, associate professor of clinical medicine at the University of Pennsylvania, Sharon K Kolasinski, M.D., reports that between one-third to one-half of visits to the doctor are due to problems with the musculosketal system. There are natural solutions however that you can start using that will help you maintain good joint health. One way to avoid the stiffness and pain in joints is to keep moving them. That does mean exercise, but it also means being aware of how long you stay in one position. If you have a desk job or just spend a lot of time in one place, be sure you get up every once in a while and move around. Even if you can’t leave your space, you can at least stand up, stretch, walk in place a bit or do something to change your position. The types of exercise you do can also make a difference in your joint health. When exercising, you can protect your joints by doing warmup exercises before stretching exercises. Stretching type exercise is good for joints, tendons, ligaments and muscles, but stretching cold muscles is not recommended. Doing low-impact exercise such as walking, riding a bike, or swimming is also better for lowering risk to joints than high-impact exercise. Strong muscles developed through strength training can take some stress off of joints and range of motion exercises can reduce joint stiffness and help in keeping them flexible. As an added bonus, exercise can help you lose weight since extra body weight adds stress to your joints. For example, there are studies that report that every pound you are overweight adds four times the amount of stress to your knees. Be sure you check with your healthcare provider though before starting on any new exercise program to make sure it is a healthy plan for your situation. We don’t usually feel like laughing when we have painful or stiff joints, but Sebastien Gendry, director of the American School of Laughter Yoga in Pasadena, says laughter is actually good for pain management. When you laugh you increase blood circulation, release endorphins that can make you feel better, reduce stress, and improve your immune system. This is why Hasya, laughter yoga, is a good form of exercise to incorporate into your exercise routine, especially if you suffer from joint pain. Hasya gives you activities along with breathing exercises that encourage laughter. A healthy diet is important for overall health in general and for building strong bones and muscles. A well-balanced diet of lean protein, vegetables, fruits, grains, and healthy fats is a good start for supporting joint health. In addition, for joint health in particular, you want to be sure omega-3 fatty acids are included as studies report it is good for reducing inflammation that can cause pain in joints. Coldwater fish such as cod, mackerel, herring, salmon and tuna; as well as dark green leafy vegetables, flax oil, olive oil, seeds, nuts, and AFA bluegreen algae are all good sources of omega-3’s. You also need to make sure you are getting enough calcium for healthy bones which could include dairy products, broccoli, kale, figs, and calcium fortified cereals. Along with calcium though, you have to get enough vitamin D otherwise your body won’t absorb the calcium. There is also research that reports a reduction in joint inflammation from vitamin D. This is a vitamin we most commonly get from being outside in the sun. If you can’t get out much, then you may need to ask your healthcare provider if you should consider a vitamin D supplement. There are also some foods that can help you get more vitamin D such as dairy products, cereals fortified with vitamin D, and soy or almond milk. Protein is an important component for building strong muscle and to keep the weight down, lean protein sources are best. This would include having foods in your diet such as white meat chicken, beans, legumes, soy, seafood, and nuts. Also be sure to have lots of bright colored fruits and veggies in your diet as they will give you the antioxidant protection needed to repair damage done by free radicals and fight off the free radical damage that can contribute to inflammation and joint pain. No matter how good our intentions are towards eating a healthy diet, there are times we can fall short and know we aren’t getting all the nutrition we need. When turning to supplements however, always check with your healthcare provider to make sure they are safe for you and are not harmful with the medications you may be taking. In the case of joint support, there are supplements that can help fill in these nutritional gaps. Glucosamine and chondroitin, which both occur naturally in our cartilage, have been the topic of many studies that report success in the relief of joint pain. For example, a University of Utah School of Medicine study reported glucosamine and chondroitin sulfate used on participants with moderate to severe osteoarthritis were found to provide them with relief from joint pain. You can get glucosamine and chondroitin as well as undenatured collagen and the nutrition of organic AFA bluegreen algae all together in this supplement. Another supplement found helpful in dealing with painful joints is SAMe (S-adenosylmethionine). Our bodies naturally produce SAMe, but the older we get, the less we produce. Research on SAMe supplements report that they can help provide relief from pain in joints as well as anti-inflammatory drugs do. In helping overworked joints and muscles to recover and reduce the inflammation from over exertion, certain types of enzymes can be a helpful natural solution. This supplement not only gives you the great nutrition of AFA bluegreen algae but also the added bonus of a proprietary blend of plant-based proteolytic enzymes–bromelain, papain, protease, lipase, and serratiopeptidase. No one wants to go through life with the pain and stiffness of joints slowing them down. If you are experiencing joint pain now, give some of these tips a try and see what relief they can help you get. If you aren’t dealing with joint pain now, go ahead and start incorporating these tips into your lifestyle to reduce the risk of having to deal with it later. Supporting your joints now will insure they are able to support you throughout your life. 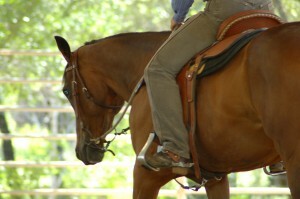 This entry was posted in Horseman's Health and tagged achy joints, joint, joint stiffness, joints on July 8, 2017 by Madalyn Ward, DVM.